Michigan child custody laws define custodial rights for a child's parents. Divorced parents typically require a long-term custody arrangement as part of their marital settlement while unmarried parents might want a custody order to establish each parent's rights and responsibilities. In Michigan, a court order for custody generally encompasses physical custody, which sets the child's living arrangements, and legal custody, which grants the right to make parenting decisions on the child’s behalf. A guardianship may become necessary if a relative or another adult becomes the main caregiver of a minor child. Custody orders establish parental rights and guardianship orders generally provide rights to non-parents when they raise a child in their home. For example, a guardianship order might be necessary before decisions can be made concerning the child's education, health and medical treatment. To obtain a limited guardianship in Michigan, the child's parents and the person assuming guardianship must file a joint request in state court. The court generally will not grant limited guardianship unless the parents agree to the arrangement. 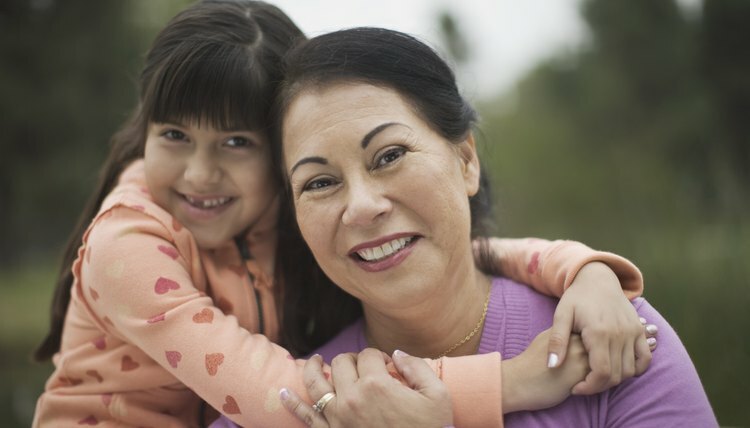 The guardianship forms must state a reason for the limited guardianship, explain the plans in place to maintain the child's relationship with the parents, state who will provide financial support for the child's expenses and list specific custody rights granted to the caregiver. Although guardianship paperwork might set a fixed time period for the arrangement, the guardianship cannot legally end until a court restores custody to the child’s parents. According to Michigan guardianship laws, a full guardianship allows a caregiver to assume the full range of legal and physical custody rights usually held by parents. The caregiver must apply for full guardianship through a state court. Unlike a limited guardianship, the caregiver does not need the parents' consent to obtain full guardianship. This type of guardianship may be apropos if the parents left a child in the caregiver's home without signing any documents concerning legal rights. A caregiver may also seek full guardianship if the state has terminated the parents' custodial rights or both parents are deceased or absent. If parents ask a relative to care for their child for a short time, they might consider giving limited rights to the caregiver through a power of attorney. Unlike a guardianship, a power of attorney does not require a court order. A power of attorney allows a parent to choose the rights given to the caregiver – a few rights or a broader range of rights can be assigned. For example, a power of attorney might allow the caregiver to make the child's medical decisions in place of the parent. Under Michigan law, a power of attorney is valid for up to six months. After six months, the parents must sign a new power of attorney. The termination of a father's rights is a legal process that severs all ties the father has to the child. The father will no longer have a right to make decisions regarding the child, to receive visitation or to learn of legal proceedings involving the child. In Michigan, termination of rights can be voluntary or involuntary. Voluntary termination occurs when a father willingly relinquishes his rights, whereas involuntary termination occurs when a father's rights are terminated for a reason. Involuntary termination may be initiated by a parent, guardian or state agency.